In December 2015, the Miami Herald reported that "Guardians of Shariah," an "offshoot of Osama bin Laden's organisation," put out a video featuring Ibrahim al Qosi as a "religious leader" in a "key position in Al-Qaida of the Arabian Peninsula" (AQAP). 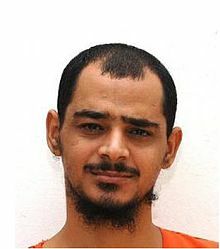 Al Qosi was imprisoned in Guantanamo from 2002 to 2012. 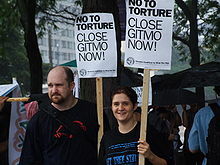 At the time of his release from Guantánamo, his wife was "the daughter of a former chief bodyguard to bin Laden." Al Quosi was bin Laden's accountant in the early 90s and moved to Afghanistan with bin Laden in 1996. In 2010, Al Qosi pleaded guilty to being bin Laden's chauffeur. 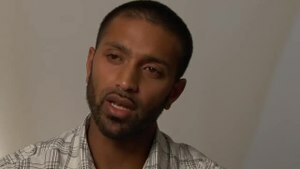 The AQAP video stated "he participated in the famous battle of Tora Bora" with bin Laden. 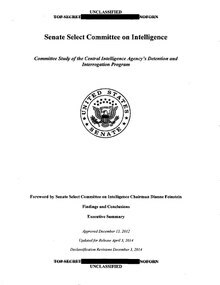 [check quotation syntax] On 8 March 2016, Reuters reported that "111 of 532 prisoners released by the Republican administration of President George W. Bush are confirmed to have returned to the battlefield, with 74 others suspected of doing so". 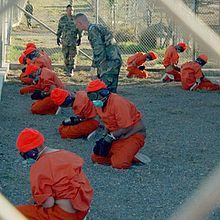 It further reported that "seven out of 144 Guantanamo prisoners who were freed since Obama took office in January 2009 have returned to fighting," with "number of former Guantanamo Bay prison inmates who are suspected of having returned to fighting for militants doubled to 12 in the six months through January". In summary, 118 of 676, or 17%, are confirmed to have returned to terrorism, with a further 86 (13%) suspected, totalling 30% known or suspected of having returned to terrorism. ^ Willett, P. Sabin (9 March 2006). Hibbitts, Bernard, ed. 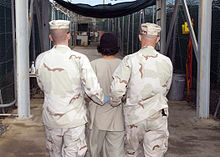 "Adel's Anniversary: A Guantanamo Tale". JURIST Legal News & Research. University of Pittsburgh School of Law. Archived from the original on 21 March 2014. Retrieved 25 January 2014. 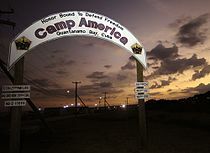 ^ "Guantánamo Detainee Seeks Right to Make, Share Artwork". 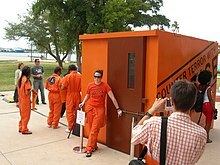 www.artforum.com. Retrieved 2018-04-07.